Can you taste it? Summer freedom is just around the corner. No more lunches to pack or permission slips to sign. 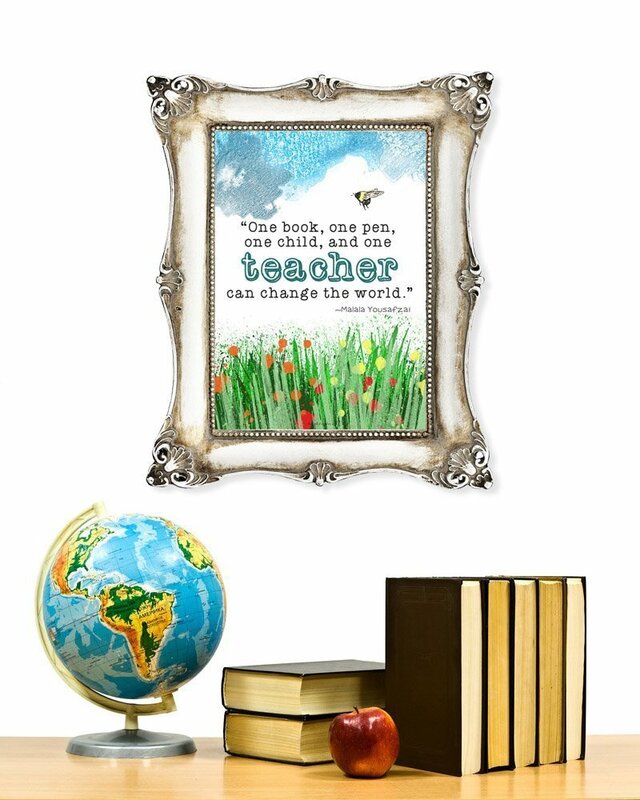 No more homework, no more books and you’ll earn zero dirty looks from the teacher if you end the year with this beauty of a teacher appreciation gift. I decided to make this free printable for you because I struggle every year with what to give the teacher. We’ve done coffee gift cards and we’ve done tea and aside from caffeinated items, I’m usually at a loss. I don’t know where this idea came from, it floated down from the ether and into my brain and I decided that every teacher my kids have from now until the end of time will get one of these prints in June. I’ll pick up pretty frames from the dollar store or thrift shop to house them in and just like that, something is ticked off the to-do list. You will need Adobe Acrobat or a similar PDF viewer. When you print the file click on “fit” under page sizes and handling, in order to fit the image to an 8.5 x 11 standard sheet of printer paper. This is terrific! My sister is a teacher and I am going to frame one for her and one for her school, thank you so much! What a beautiful quote for a teacher! I think we take our educational system for granted – great reminder of how precious it is! Wao, what an excellent quote and uniqe way of appreciating the teachers, as education is the best legacy to a child. So glad I saw this the last week of school! Our last week is the first week of June! Great idea! Thanks so much! Happy to help! Happy summer!